Come take a paddleboard tour with us. Take a beautiful tour of Rudee Inlet and explore our Virginia Beach ocean waterways! At Rudee Inlet Stand Up Paddle (RI'SUP) we take great care to ensure you have a perfect water experience. Our boards are new and all of our equipment is safety tested - and our tour guides have years of experience. Safety is our first priority, and we follow all rules of Virginia Coastal Waterways. Every paddler is equipped with U.S. Coastguard required safety equipment and a strong paddle. Randy Harris, owner of RI'SUP, is a highly experienced waterman whose love of Rudee Inlet is abundantly clear when you tour with him. He knows every nook and cranny of the Inlet and oceanfront, and loves to share that knowledge with his tour groups. 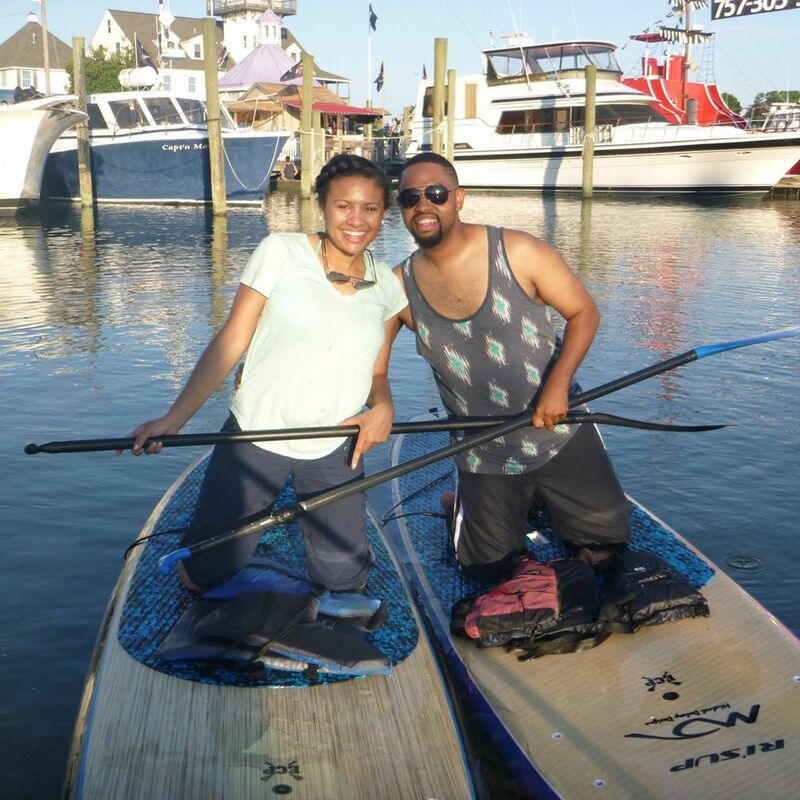 Choose your favorite type of SUP experience and give us a call! We're looking forward to guiding you on the Stand up Paddle excursion of a lifetime. "The best Virginia Beach adventure available!" view photos and videos - updated daily on Facebook!